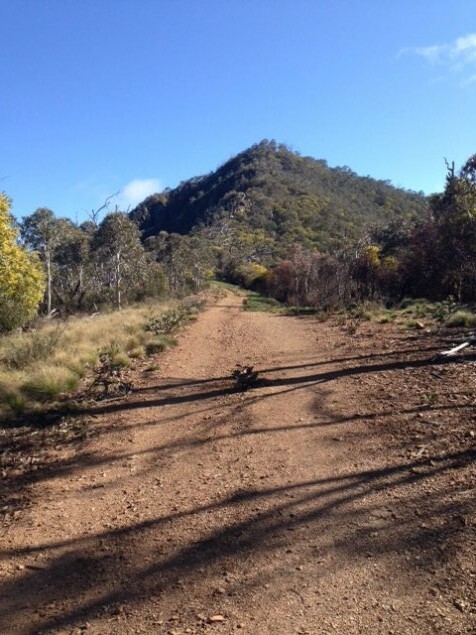 With a sunny day ahead on a recent Sunday, I set out early to the Tidbinbilla Nature Reserve to tackle the Camel’s Hump hike. Editor’s note: Lisa wrote this article some months ago, so her sunny Sunday was not the sweltering one that just passed. If you intend on doing this hike over the summer months, always remember to take lots of water. Access to the Camel’s Hump hike is from various points throughout the park, but I chose to do the 11.6km return hike starting from the Mountain Creek car park rather than the 19km version which starts from the Visitor Centre. To get to the carpark, drive to the very end of the park, which will take you about 10-15 minutes depending on how many kangaroos you have to stop for on the way through. The path up to Camel’s Hump is on your right once you park. The first kilometre or so will get your heart pumping and your calves burning. It’s a fairly steep ascent first up but after about a kilometre or so it starts to level out a bit. Once you start thinking, this is an easy walk then begins the next ascent and you remain going up for about three kilometres or so but it’s not quite as steep as the first section. There was a bit of fog around when I started and it got thicker as I got higher but burnt off eventually allowing for clear views of the reserve from about halfway up. Along the way, especially if you start early like I did, you’ll be sure to see plenty of what I think are pademelons. They’re quite curious and will let you get pretty close before they hop away into the scrub. The track is very wide and I think is probably one of the many fire trails within the park. It’s a great view over the reserve and across to Gibraltar Peak as you ascend. You know you’ve nearly made it when you’re greeted with the Camel Back sign. Then there’s a steep, narrow trail up to take in the views but it will only take a couple of minutes to get up. 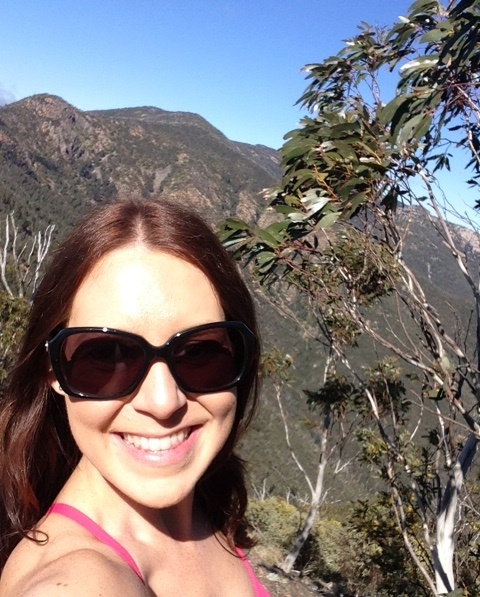 It was just me, the birds and pademelons up there and I stayed about an hour sitting in the sun enjoying the views. It’s a view I haven’t seen before from the park, taking in the other side of the ridge. The hike is definitely worth it to take in the views from up here on a sunny day. The hike is marked moderate to hard but for anyone of average fitness is probably on the moderate side. You will work up a sweat though. But make sure you bring a jumper along, in the shade in some sections it got a bit cool. It took me about an hour and a half to reach Camel’s Hump, and it was under an hour to get back down – much less than the six hour round trip stated by the reserve trail information. I did jog some of the way down though as I find it easier on the legs to get down the steep hills. 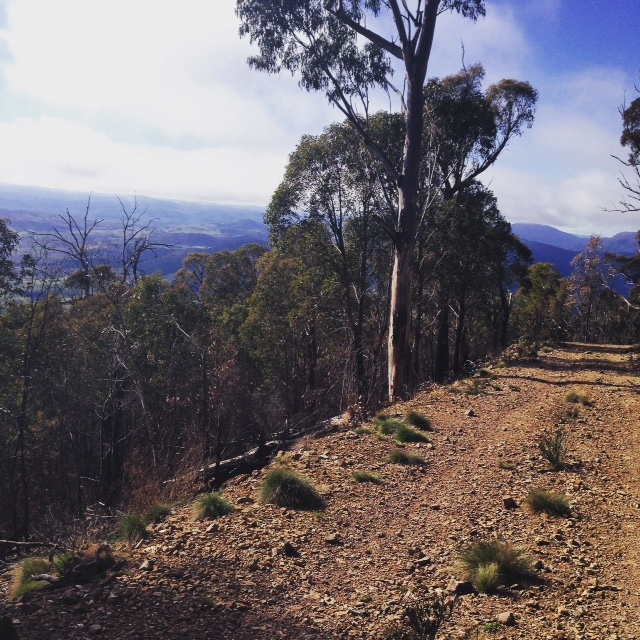 Depending on how long you plan to stay up the top, I would allow three or four hours for this hike if you’re out tackling the walks around Canberra often. 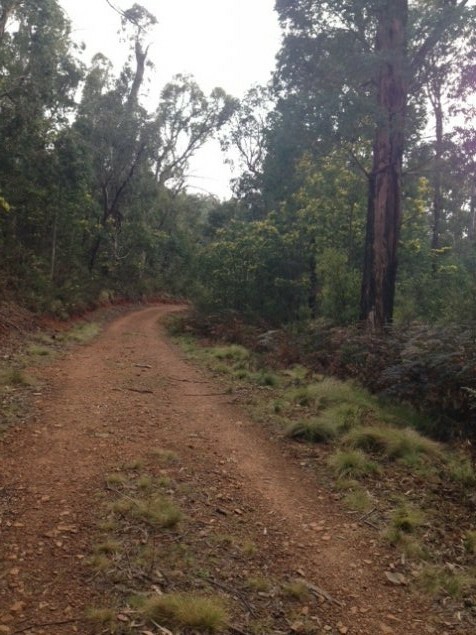 This hike seems to be one of the hidden gems in Tidbinbilla. I only passed four people towards the end of my descent around mid-morning. If you still have a bit of energy at the end of this hike, then there are a couple of small easy hikes leading off from Mountain Creek car park such as the 1.8km return Cascades Trail. This is quite a prominent triangular peak seen from most of the Tuggeranong Valley. 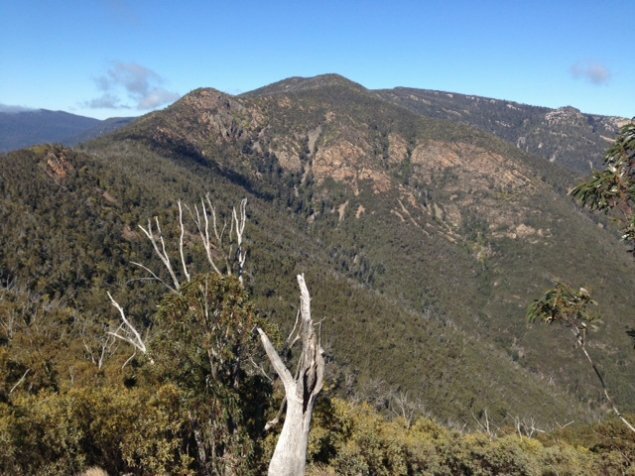 Once you get to final peak, you can take the steep ascent or walk along the fire trail further to the other side (which is a more gentle rise) and bush bash to the top. I took the latter and think it would have been easier than the steep side.